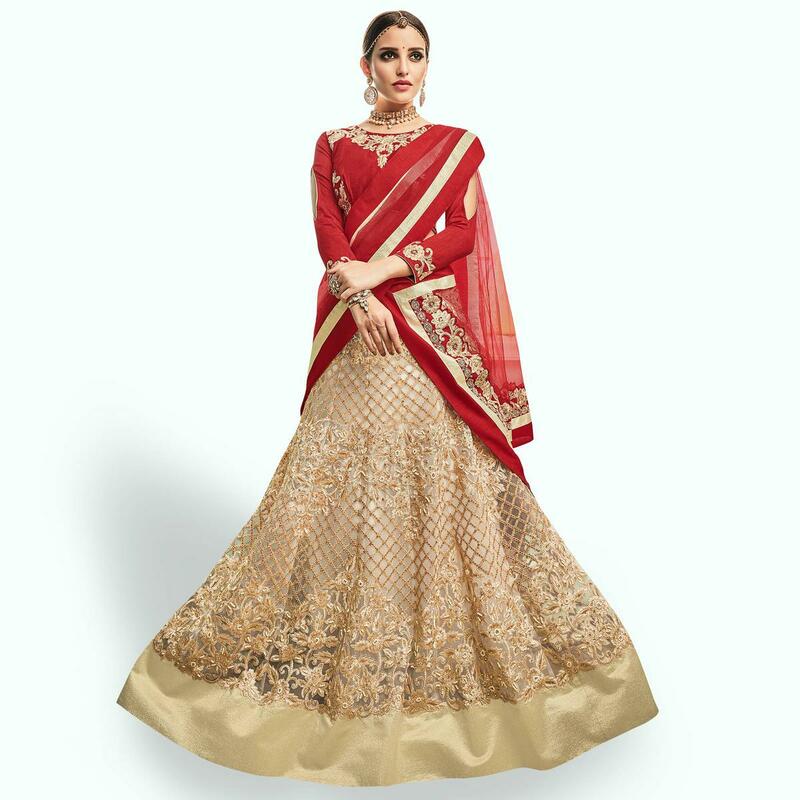 Look curvy and vivacious this wedding season dressed in this beige and red lehenga choli that features beautiful design in the ghaghra as well as heavy zari embroidery all over. The choli has a beautiful neckline that has golden embroidery work on it which adds to a traditional look in the contemporary lehenga. The dupatta is also enhanced with the zari embroidery work and lace border. Available with embroidered slub silk choli fabric, heavy dull santoon with can can net lining and dull net dupatta. Perfect for traditional functions, festivals, wedding functions or engagement ceremonies. Pair it with traditional accessories to make your look more beautiful.